to the web home of Grace Baptist Church, Muncie, Ind. Can’t find what you’re looking for? Have a question? Just contact us here online or by phone at (765) 288-9569. We look forward to hearing from you. 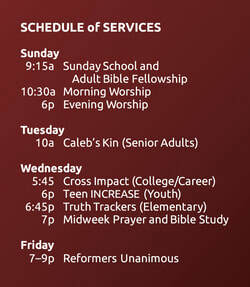 Missed a service? Check out our growing archive of Bible preaching and teaching at sermonaudio.com, available to stream or download.